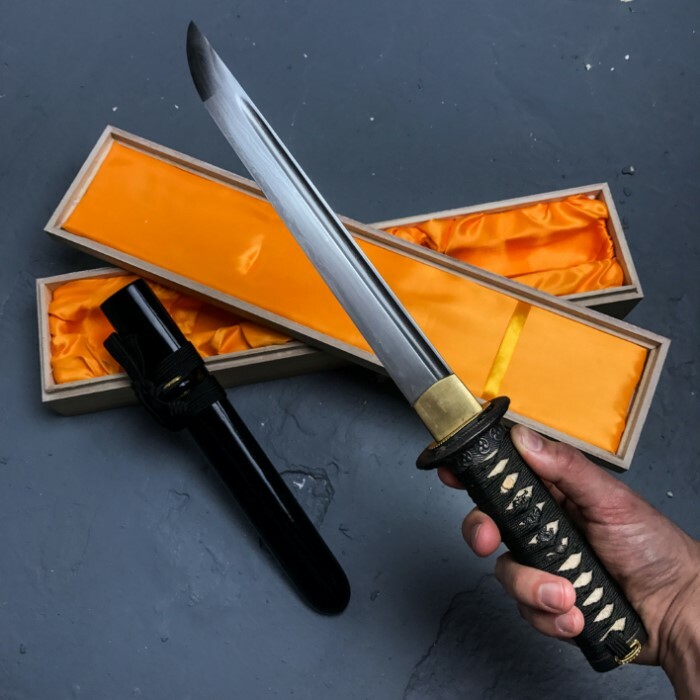 Ryumon Hand Forged Damascus Steel Samurai Tanto Sword Black | BUDK.com - Knives & Swords At The Lowest Prices! 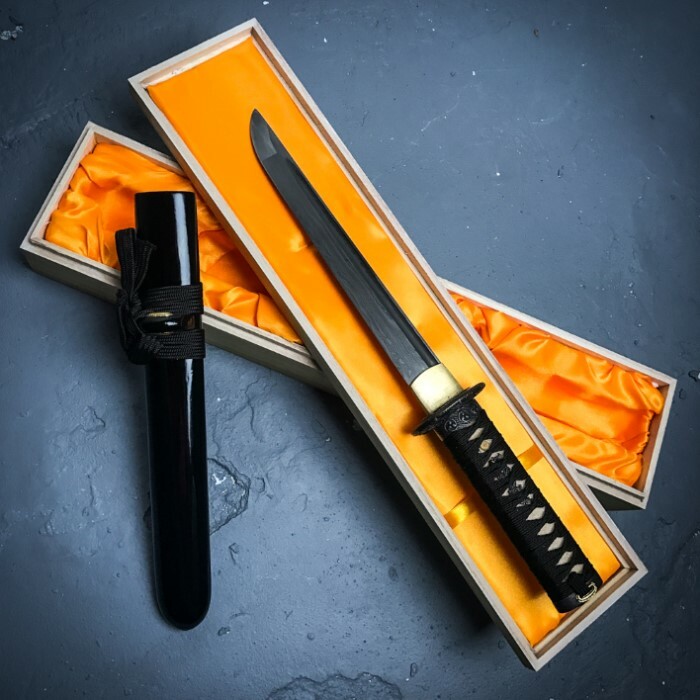 Like the smaller blades traditionally carried by the samurai, this tanto short sword features a hand-forged Damascus steel blade with a high carbon content. The 8 1/4" blade has a custom-designed, one-of-a-kind look and feel complete with a heavy blood groove. An elegant brass habaki blade sleeve meets the cast metal alloy tsuba for authentic style. The genuine ray skin handle has cord wrappings and a handsome menuki. A glossy black lacquered scabbard houses the blade. This is a great tanto for starting to collect swords. With the right skill it server as a great cutter for light targets, however I did break the handle on mine by accidentally hitting a large wooden base when I cut through my target, but it still works fine! 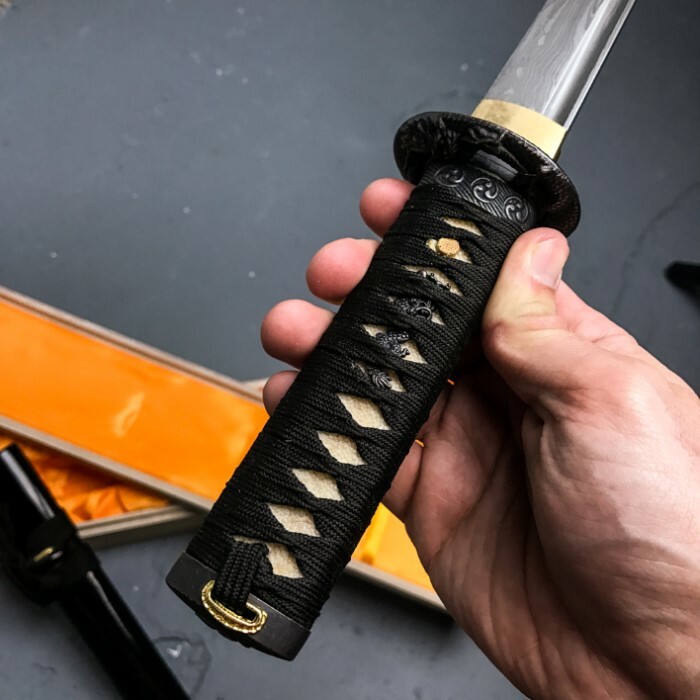 I wanted a Tanto blade to go with my Katana and Wakizashi swords. It was OK for the money, but I would like to make note of a few minor problems I had with this item. Mine was not sharp at least not as was described and advertised. I did have to work on it with my accusharp for a while to render a good edge. The basic angle of the edge was there, just not finished. The steel Habaki was a bit loose and the cord wrapping could be a bit tighter. Other than that I do like the blade itself and look of the tanto. I am so happy I purchased this Tanto. It is prefect in every way. A real weapon of quality. Thank you True Swords!! For some reason I was charged and sent two blades, they just arrived today and I'm thinking about selling the second one to a friend of mine. Other than that I'm very happy with the speed of the dilivery and very happy with the quality of the blades they are both very nice. You will not find a tanto of this caliber for such a low price anywhere else. I immediately realized upon seeing this blade that it is RAZOR sharp. I recommend this for self defense, collectors of sharp objects, and those who just enjoy how it looks. 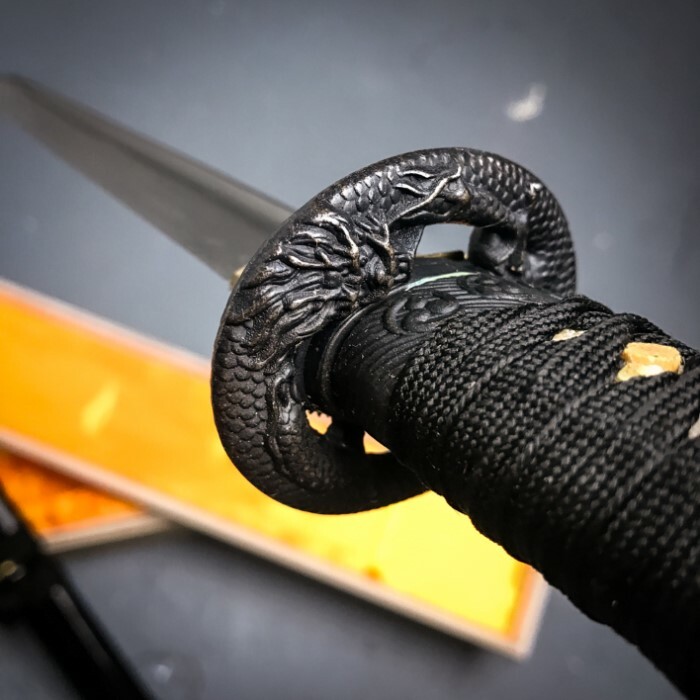 The steel of this piece is very enticing and I cannot stop staring at this blade. An extremely well put together weapon. If you demand perfection, you should buy this Tanto. Got the blade in three days and it is beautiful. I've loved Japanese swords for a long while and this sword does them justice. 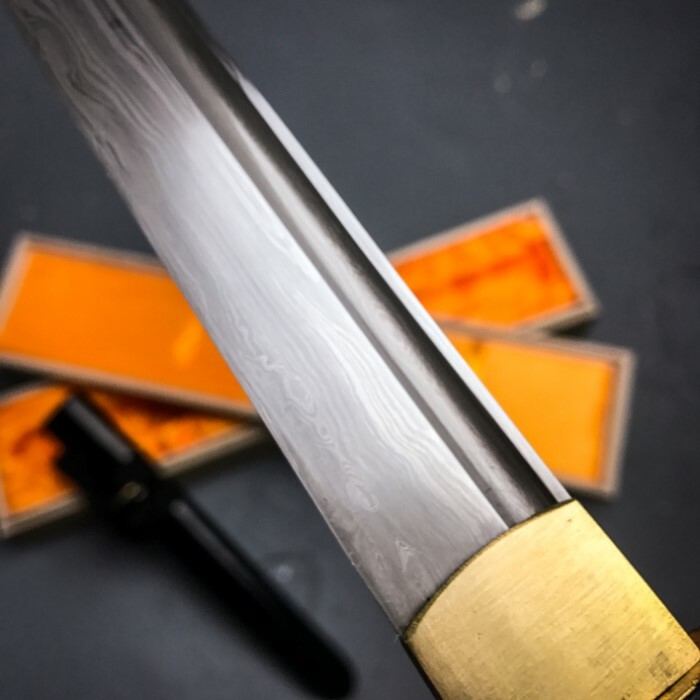 It's beautiful, well fitted, and tight in the saya. It came very sharp as well.